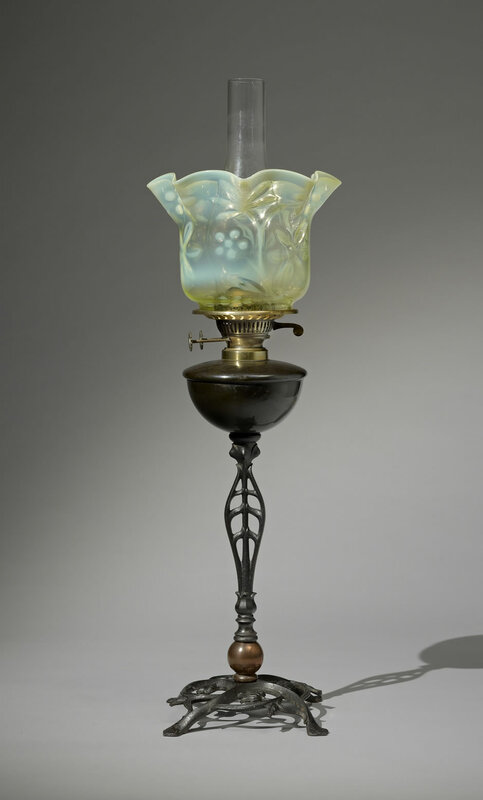 The design for this oil lamp, which retains its original glass shade, probably by Powell of Whitefriars, appears in Benson’s Price List of Fittings for Oil, Gas, Candle Tableware &c., 1899-1900, pl. 4, no. 393. For similar shades, see Wendy Evans, et al., Whitefriars Glass: James Powell & Sons of London, London, 1995, p. 62, nos 58-59.